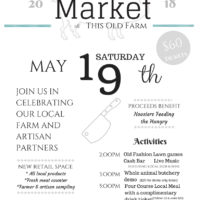 Tickets are $60 for adults, $20 for children 12 and under, and include complimentary drink at a cash bar, live music, a whole animal butchery demonstration, outdoor activities for the kids, a four-course local meal, and more! Alternatively, you can purchase a ticket for just the whole animal butchery demonstration for $20. This Old Farm is located at 9572 W. Cr. 650 S. Colfax, IN 46035. There’s only so much piggy to go around, so call us today at 765-324-2161 to reserve your tickets! Subscribe for specials, sales, and more! Terms like "organic" and "GMO" seem to be everywhere today. Do you know the lingo?